UPDATE #2: Eurogamer has also confirmed that it was previously aware of a Mother 3 localization. Sounds like that pinch of salt might not have been required after all! ORIGINAL STORY: The Mother series is one that has never been a major success in the west, but it's generated a passionate cult following. Initially, only Mother 2 – Earthbound, over here – was localised, but the first game in the series made its first official western appearance quite recently on the Wii U Virtual Console as Earthbound Beginnings. That leaves us with only one game missing: Mother 3. It seems logical that Nintendo would eventually bring it over, and the latest rumours indicate that this will be the case. Emily Rogers – a source who has evidently been on the money with leaks in the past – has recently been alluding to a localisation of Mother 3 on her Twitter. Naturally, these things shouldn't be taken too seriously until there's official word, but it would seem logical given that this year is the game's tenth anniversary. Perhaps Earthbound Beginnings did well enough that Nintendo deemed the third game worth the effort, too, but only time will tell. What do you think? Is this rumour true? Would you buy a localised Mother 3? Share your thoughts in the comments below. I'll believe it when I see it, but nice try. The beginning of 2015 I told anybody who would listen that there were only TWO things I would ever beg Nintendo for. TWO things I needed from Nintendo before I could die happy. 2) Official US release of Mother 3. I think it's obvious at this point. Earthbound did well in the eShop. Earthbound Beginnings was released last year. The Wii U has little else, so releasing this is worth it. If it doesn't happen, I'll be shocked. I'm not saying I believe in rumors, but with everything that's been happening around the Mother series in late 2015, if we don't see it in 2016 it probably isn't happening ever. The Lucas Amiibo did extremely well, as did the Ness, Earthbound and Earthbound Beginnings BOTH sold like hotcakes on the eShop, and I find it difficult to believe that Nintendo is just going to drop the series after giving us Beginnings. No way are they leaving it like that. @Tuosev Agreed, they'll probably ride out whatever momentum they built. And Lucas' chances of appearing in Smash 5 just went drastically. Maybe it wasn't a success in the West because they only released it in the U.S.
Who the hell is Emily Rogers?? Seriously, I think if Mother 3 was a launch title for the NX VC, it would definitely sell some units all by itself. It may not be a huge launch title but I'd definitely buy it just to repay my debt. Well.. Iwata is dead so... anything is possible with this new guy but still not going to take this seriously. Emily Rogers flipped out and shut down her Twitter account over this so, yeah. What leaks has Emily been on the money in the last with? And same question for been on the pinch/full bag of salt. Because that's two pending rumours now (both of which I badly want to be true). Would be easy to do, and they'd make bank off it, odd buy it for sure! Better be physical. If it happens, after the release of Corrin and Bayonetta it would be a nice way to make the E3 2014 Robot Chicken clips come full-circle. Personally, I think this is just a bunch of hot air, but I guess there's always a sliver of truth to every rumor. Didn't some fan localise the whole thing himself at some point? Maybe Nintendo bought it off him? Like THAT'S ever gonna happen. If this ended up happening I would support the game day one. It's still a rumor so I will keep my hype in check. I still haven't played the first 2 Earthbound games. If Mother 3 comes West, then that's yet another game I really should be playing. Don't see why this couldn't happen. The amount of work involved is infinitesimal when compared to say remastering The Wind Waker. No reason why a small team couldn't easily handle its translation. Well, given how RPG-focused Nintendo's lineups are this year (Mario & Luigi: Paper Jam, Fire Emblem Fates, Dragon Quest VII and VIII, etc), I think there's a chance of this happening, but I ain't holding my breath. @crimsontadpoles What's wrong with you? Get playing at least the first one. Brilliant games, I can only imagine how much more impressed I would have been had I played them back in the day. Btw the NeoGAF thread says (something like 11 or 12 pages in) that this was intended for June, which sounds like an E3 "available right after this presentation" deal. I just feel bad that such a huge surprise was leaked and at least one person is likely in serious hot water if this is true. I guess we won't know until E3. The clue is to them having put Beginnings and and Earthbound on WiiU, and there's GBA on there as well, so it seemed likely once they did that and released M3 in Japan again. Finding a translated ROM of this one has never been hard to do. I'll support the heck out of the Virtual Console when it bothers to release something decent, but this tease has gone on long enough. Remember the Onnet Times Miiverse group created to share exciting Earthbound announcements that never came? Go to what effort? A translation is already available and the people who made it said Nintendo could use it! I mean seriously the fact thet released earthbound beginnings instead of mother 3 made no sense to me as the demand was clearly for mother 3! A prequel to 2 is not what people were asking for plus they had to go to the effort of translating it, they wouldn't release it if they didn't think it'd do well and, if they didn't have plans for 3! It's coming this year for certain! I really think it's happening this year. Nintendo aren't going to waste resources on Wii U and 3DS games with the NX coming. They've done a great job padding the 3DS in 2016 by localising older games from Japan like Dragon Quest, Bravely Second, Fire Emblem: Fates etc and giving us digital versions of old games like Pokemon. Something like Mother 3 fits in perfectly with their strategy of giving us something to play until the NX launches. Well, they did it with Earthbound Beginnings already. It wouldnt be that unlikely and i really hope they finally do it. When they released Earthbound Beginnings, it was pretty obvious to me that they would release Mother 3 at some point to complete the trilogy, even if they needed to start a translation from scratch. I do think this year is most likely, especially before the NX launches, as the attention then will be on the launch games and system, not VC games. @joey302 She's Buck Rogers' wife. That explains how she knows so much from the future! Of course Nintendo has plans to localise Mother 3. What would have been the point of localising Earthbound Beginnings then? Get ready for "Eartbound Endings" or whatever. It would take little effort. Just get member of staff to look at the fan translation to see if it meets their standards, change some things if required and ask to use it. I'd doubt the people who made the translation would mind Nintendo using it even without payment. I think there's a very high chance that this will happen. I'm not sure whether I believe the rumours but I think as far as being speculatory it's on the money. There's no mention of Earthbound Beginnings was already translated back in NES days but it just wasn't released where as Mother 3 will be from scratch. Emily Rogers "quit" the internet again?!?! F**king hell, I could never stand that drama queen... F-ing idiot. The group who did the translation worked for years on it, got an official translator (known for dragon ball z, among other things). And always promised to pull it down whenever Nintendo finally released an official version of this game! It was a lot of work to translate because the game had so much text, and it had several trigger mechanism which made it hard to change texts to begin with! I'm hoping they'll use the translation, these guys thought of everything. The weird jokes, road signs, every little detail! Don't do this to me, Nintendo Life. My poor heart can't take it. And obviously now I'm eargerly anticipating confirmation. I never learn. Ugh, just release it already. Part of me expects the unofficial fan translation will probably still end up being better, but if the official translation does happen it will mean a whole lot of people will finally be able to appreciate this masterpiece, and that I am happy about. @TheLobster If that ends up true then we ditch the rumours about a console NX releasing in 2016. So instead either a handheld NX in 2016 and/or a console NX in 2017. I loved earth bound for snes. still have my copy in the box with the guide. could not get into earth bound beginings so not that pumped for 3. If I was them, I would just proofread the fan translation, give them monies (which still would be cheaper than translating it) and credit them as authors. Both parties happy and peoples can play it. I haven't even touched EarthBound yet! I am happy to hear the potential of this final installment being released though. It has been a long time coming! I'll believe it when/if I see it for myself. I beat Earthbound on the SNES 20 years ago and a few more times after that. I never bought a Wii U and never will. Any chance they will release any of these Earthbound games on 3ds?! Otherwise I won't be playing them. They would be perfect for the smaller screens given the aged graphics. Take all of my yes! Especially since I actually didn't beat Earthbound until a couple of days ago. @GLA @JustinH She has pretty much the same info that Liam Robertson and ShockingAlberto have. She was the first that revealed that Pimin 3 was a planned Wii U launch title. She revealed in 2011 that the Smash 4 team was an new team, compared to the original Smash development team. She revealed pre-E3 2011 that the Wii U wouldn't have a HDD. And so on. @joey302 Who the hell are you? If this comes out in Europe and not the US, I will scream. I hope they use the fan translation (or hire Tomato to redo it? ), but I guess it doesn't really matter to me. I can already play the game in English on a real GBA, I'll only be buying the WiiU version to show support. @ROBLOGNICK I don't think they did localize EarthBound Beginnings, I think they just released the prototype as-is. @hendie001 I think you'd have a much easier time getting into Mother 3, it's a lot closer to EarthBound than the NES game was (except that a different guy did the music). I hope this is true just so people SHUT UP about it. I bought a cart of the fan translation a few weeks ago. Guys just download an emulator. I don't necessarily believe the rumours are based on solid evidence because I'm cynical by nature but using my own judgement, if this doesn't happen then I'll eat my hat. And I wouldn't say that if I wasn't sure 'cos my hat is a deerstalker and the fur is hard to digest. Everyone I have read that this Emily has revealed in the past has been based on logic rather than being wild and generally out of character for Nintendo. She clearly uses tactics adopted by apparent psychic mediums like Derek accora. "It seems logical that Nintendo would..."
Well now that it is confirmed(?) for Europe, I am happy. Played the fan translated version last year, it's a fantastic game IMO. Better than Earthbound, I'll happily pay for it and play it a second time. Well damn... I still haven't beat the first Earthbound. Forgot about it actually 😔 Last I remember playing I believe I had just gotten to Threed. Tweets should not be treated as news. All this 'Emily' has said was there is going to be an English translation (on the Wii U VC most likely). Where's the proof? So an English translation could be in the works, and since Lucas being in Smash, it could turn out to be true. I wonder (assuming it's legit) if it's happening because there is a 4th game in the works? Mother/Earthbound 4 as a Wii U swan song or NX launch title would be massive. @Kiyata_Hamasaki Yes, you will be able to play Mother 3 on 3DS... Wait for someone who actually knows what they're doing with emulators to make a proper GBA emulator for 3DS. @MadAdam81 Itoi has stated numerous times that Mother 4 isn't going to happen. @MadAdam81 Itoi said he's done. The only Mother 4 we're seeing is the fan project. I hope this is true, We've been waiting a long time for this! I know it will probably be relegated to being a Wii U Virtual Console release but... a Mother Trilogy on 3DS...please??? 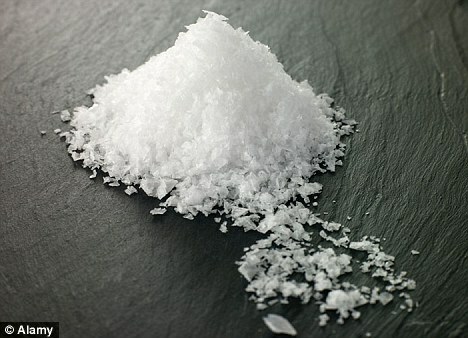 @FullbringIchigo Ugh, those look more like dead skin cells under a microscope than salt! I'm in if it happens. Can't wait to play this game! Hopefully it comes out soon and in the States as well. Christ, Nintendo could literally just ask the guys who already did a stunning English translation to let them use it and this could be released in a couple of weeks. So much faffing around and waiting with baited breath. @PlywoodStick @NintendoFan64 Itoi has only stated that he won't make it himself, Nintendo still could as its there series. Itoi also said he would be ok with that. Probably doesn't mean anything, but the Mother 3+ and 3- soundtracks seem to have been taken down from YouTube this morning. 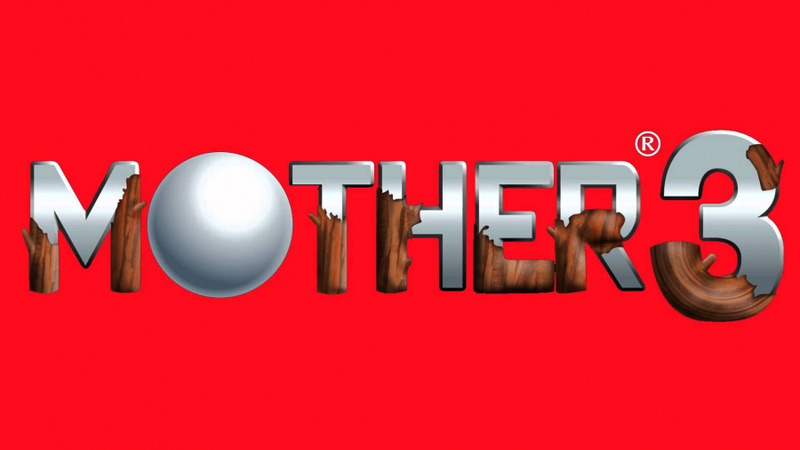 I don't understand why it wasn't confirmed last E3, Ending that disappointing show with the announcement of Mother 1 + 3 would have been a great way to soften the negative blow it had. Let me know if this release is actually confirmed. THEN I'll be excited. Until this is officially confirmed, I'll remain cautiously optimistic. Even so, Mother 3's localization would make sense; fans have been wanting it for years, and it now seems like a possibility since Mother/Beginnings was brought over. Was Iwata a part of Mother 3? I really hope they're doing it. It's the game everyone who loved Undertale as their first RPG will want to play. @MitchVogel Apparently Emily Roger's Twitter account got suspended. Put it in your updates. EDIT: Doesn't that seem strange to you? Does anyone know if Mother 3 is even a good game? Just wondering. @wazlon I've never played it myself, but my brother loved it and i've heard nothing but praise for the game on the internet. I would pick it up if it was on 3ds. It puzzles me to no end why these virtual console games don't get dual releases on both Wii-U and 3DS. Silliest thing ever. Who ever is in charge of Virtual Console "YOUR FIRED!" I haven't fired that guy in a while that felt good. I just beat Earthbound last week. Great game! I have mother 1 on an NES cartridge, which I bought off Etsy, and I will play that next. It would be great to get the third one, but I'll wait to get it on an SNES cartridge, which no doubt will appear on Etsy as well. I prefer to play these games on the original system, if possible. Why are people surprised or denying that Nintendo would release a localised port of the 3rd game in a series that has seen its predecessors recently released? Yeah, sounds legit. I'll buy that sucker ASAP. but will it be for Wii U.....or NX? The spirit of the dead horse would be relieved if it turns out to be true. I said it once, I'll say it again: isn't it a little fishy that Emily Rogers' Twitter account dissapeared when she made that announcement? I said it to @MitchVogel and HE hasn't replied back. I also told him to put it in his list of updates. STILL WAITING! @Agent721 you'll have a job to play the third one on the SNES - It was released on the GBA but you can get an unofficial copy of it on GBA, translated by fans. @wazlon It's fantastic. It's the only game I ever played fully in Japanese, which I can't read. I replayed it when the fan translation came out. Just an excellent game. Earthbound is my absolute favorite game but I can admit Mother 3 is an objectively superior game, and has a wonderful story. Ha..I won't do it then. GBA games were cool on the go, but I can't imagine putting that many hours into it, given how they look and play. However, you'd be surprised what you can get on Etsy. They have Sega Master System games put on NES cartridges (I own an NES copy of Sonic! ), and Genesis games on SNES carts, so I wouldn't be surprised if someone put the GBA game on one of those. I enjoyed Earthbound, less so with Earthbound: Beginnings but I would probably pick up this just to complete the Trilogy. While I respect Nintendo for not wanting to play in someone else's creation, I do wish they would at least make the spiritual successor to the property. I dunno do something crazy like make the American's view of Japan Earthbound style. @Agent721 sooo that stuff about wanting to play games on their original format is a load of rubbish then if you're happy to mix it up with Sonic on the NES haha! That's totally something I'd purchase though! Sounds cool! That applies to the systems I owned as a kid and still have today, which is NES and SNES games mostly. I even own a Famicom disk system and play on that, importing discs via Ebay from Japan. I live in L.A. But I never played on any Sega systems, I was Nintendo fanboy growing up in the 80s and 90s, and I don't have enough interest to buy a sega retro console now, but I do try some of the game on the NES, just because its cool. There's a few available on Etsy. At least its a similar era! Did anyone try Citizens of Earth? Worthy successor or cheap rip off? Anyone else notice that GameXplain's video on this magically disappeared along with the Mother 3+ and Mother 3- Soundtracks disappeared from YouTube as well? This is all pointing at this being real. At least to me. @Agent721 I thought Citizens of Earth went deep for "quirky RPG" and missed the rest of what made Earthbound so good. Strangely enough, it plays kind of like a lesser Suikoden. @Angelic_Lapras_King And it being on the NX VC is very unlikely, since it is basically an emulated game, so not releasing it on Wii U is pointless. They should just continue the VC from what they already put on Wii U. And the Wii U would also have the Earthbound Trilogy, and we don't know if a new console will release by the time they end this translation OR if it will actually have a GBA VC. I mean, if it is a handheld, I wouldn't be surprised if they only have NES and Game Boy games on it. This rumor won't spoil NoA/NoE's surprise this year I'll still be friggin excited when its announced officially. Getting pretty excited! Have been waiting years to play this game! Already have it on my GBA thanks to a fan translation cart almost a year ago. The text was fully translated into English by the summer of 2006. Not as well as the Fan Translation, obviously. But I printed it out and was able to play the game in English months after the game came out in Japan. Actually, that was a decade ago now, wasn't it? Weird. Note: The translation was by SpookyChee and can be found on GameFAQs. I think it will happen. Earthbound Beginnings arriving on Virtual Console made me feel that they wouldn't possibly leave out Mother 3. I still haven't finished Beginnings or ever played Earthbound, but I will! @boyika Mother 3 is actually much better on real hardware, since the emulator's timing can make matching up music beats during battles a bit more difficult. Hopefully the VC's GBA emulator is up to snuff. @Nintenjoe64 It's surprising because if Nintendo actually is translating the entire game from scratch, that's a -lot- of work for a decade-old niche game that NOE and NOA can't be expecting much return from. Aside from ports/remakes, I can't think of one game this has actually happened to. The closest I can think of was when they ROM hacked Donkey Kong to add in the pie factory level. Regardless if the rumor is right or not, you wont be seeing the names of these people in the credits. A localized Mother 3 has to be called EarthBound 2 as that was the title referenced in Fourside. I know I and many others have been complaining about VC lately, but if this gets localised, I'm downloading this in a heartbeat. @The_BAAD_Man Same man, same. It's always been on my list of RPGs to play and I even downloaded it on the VC but haven't yet found a chance to play it. I've got some catching up to do! Gracias, nacho chicken. I'll play the first one first, then. I would really like to see the day when rumours don't ruin big surprises. This could have been the big boom for the next Direct or E3. "Hallo? HALLO? HALLO?!? How dare you! **** you! [email protected] hung up on me..."